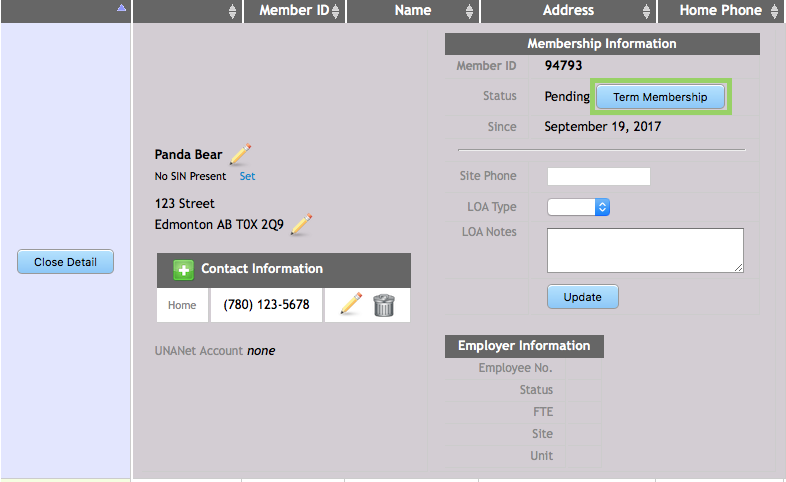 Once a list appears showing a member’s data, you can edit the data including Terminating Membership in your local. Click the Detail button in the appropriate entry. Once the details are visible, look for the Membership Information located in upper right-hand corner. The Status is indicated and beside that entry is a button Term Membership. Once you click the button you are asked to confirm the termination step. The page will the display confirmation. Once you click the button you are asked to confirm the termination step. The page will the display confirmation, click on Term. On any subsequent membership list, this person no longer appears.